Please reconsider your need to travel to Mauritania. Mauritania is a country in Africa (Western Africa) with around 4 million citizens and a land mass of 1,030,700 km². We detected travel advisories from 8 sources for this country. Mauritania shares land borders with 4 neighbouring states. For this country, the Danger Index is 2.7 (average value for all countries). All countries habe been reported as somehow dangerous: Mali (4.6), Algeria (2.8), Senegal with (2.3) and Western Sahara with (1.0 of 5). See danger map of the region. Mauretanien: Reise- und Sicherheitshinweise: Teilreisewarnung. The German government advises againt travelling this country. We’ve reviewed our travel advice for Mauritania. We haven’t changed the level – 'reconsider your need to travel' to Mauritania. Higher levels apply in some parts of the country. This regional advisory from the Australian government covers:Provinces of Tiris Zemmour, Adrar, Tagant , Hidh ech Chargui, Hodh El Gharbi, Assaba and Guidimaka. This regional advisory from the Australian government covers:Within 25 kilometres of Mauritania's northern border with Western Sahara, except to the city of Nouadhibou. Reconsider Travel to Mauritania due to crime and terrorism. Violent crimes, such as mugging, armed robbery, and assault, are common. Local police lack the resources to respond effectively to serious crimes. Terrorists may attack with little or no warning, targeting places frequented by Westerners. 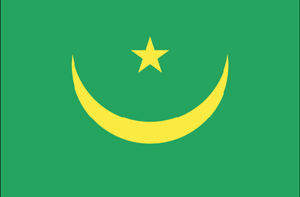 The U.S. government has limited ability to provide emergency services to U.S. citizens in Mauritania as U.S. government employees must obtain special authorization to travel outside Nouakchott. U.S. government employees must travel only during daylight hours and are prohibited from walking alone outside of designated areas and times. Read the Safety and Security section on the country information page. Do not travel to the eastern and northern regions of Mauritania, or to Mauritania’s border areas with Algeria, Mali and Western Sahara due to the risk of military activities, the actions of extremist groups, and the risk of armed banditry and kidnapping. Anyone entering the border area could be considered a legitimate military target. Land mines are also present along the border with Western Sahara. Do not travel to the provinces of Tiris Zemmour, Adrar, Tagant, Hodh ech Chargui, Hodh El Gharbi, Assaba, and Guidimaka. The Austrian Government advises again travelling Mauretanien.